The Canadian Agricultural Partnership (CAP) is a federal-provincial-territorial suite of government funding programs for agricultural producers and processors. It is comprised of several grants and repayable funding programs specific to companies in the agriculture and agri-food industry. The dynamic framework of agri-food funding programs offers five years of support; most programs available through CAP will be in place until 2023. One stream of CAP, the Canadian Agricultural Partnership: Ontario Producers program, offers Ontario government funding to businesses that grow or otherwise produce agricultural products. Food and agricultural commodity producers may use the funding to offset a portion of eligible costs for a wide range of projects, including equipment upgrades, safety and traceability improvements, business planning, and product/process research and development. Through the Canadian Agricultural Partnership, Ontario agricultural producers may receive up to 30% to 50% of eligible expenses to a maximum $100,000 in grant funding per project. To receive CAP Ontario government funding, businesses must be deemed an eligible agricultural producer and apply by one of the program’s upcoming deadlines. Applications are typically approved within 60 business days; upon approval, applicants may begin to incur funding-eligible expenses. Program Overview: What is the Canadian Agricultural Partnership for Ontario Producers? The Canadian Agricultural Partnership (CAP) is a suite of funding programs developed and administered by Canada’s federal, provincial, and territorial governments. Some of its programs are available across Canada, while others are only available to agri-businesses in a specific province or territory. Through the CAP program exclusively for Ontario agri-producers, farm businesses may access government grants to offset a variety of strategic project costs. There are several types of projects supported through the program, including incentives that support business planning, capital investment, and market expansion. Ontario agricultural producers can access up to $100,000 in CAP funding per eligible project. Companies can commit to up to two funding projects at once. This is a significant opportunity for Ontario agricultural producers that wish to improve their competitiveness. The five-year (2018-2023) program offers regular application periods; therefore, forward-planning farm companies with a strategic plan can leverage multiple growth strategies at once. To start the planning process, consider your company’s top spends over the next 12-24 months and consult the criteria in this article to determine if it’s eligible for funding. To participate in the Canadian Agricultural Partnership program for Ontario Producers, applicants must propose projects that fit an active stream of funding. Not all incentives are available during each intake, so applicants should carefully consider which stream makes the most sense for their upcoming investments. For a list of all potential project areas funded through the CAP Ontario Producer program, please consult Mentor Works’ program deadline article. Support experimental or theoretical research. Can be documented through receipts, invoices, or other financial statements. MicroFIT or FIT green energy generation systems. To get started with the CAP Ontario Producers program, farm businesses must develop a comprehensive application and submit it during one of the program’s periodic calls for proposals. The program’s current call for proposals has a deadline of May 6, 2019. Given the competitive nature of this Ontario government funding program, only applicants demonstrating high-potential projects will be considered for agriculture grants. 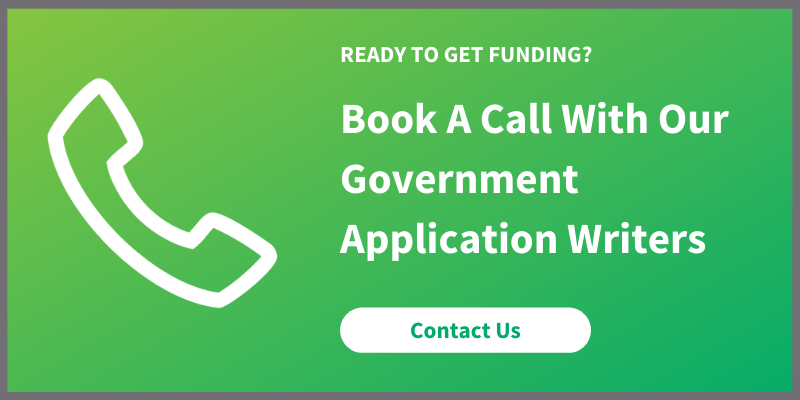 Consider your options in navigating the government funding process to ensure you’re submitting an application that advocates your project’s potential. To explore your business’ eligibility for CAP Ontario Producers funding and learn how to optimize the application process, please contact Mentor Works. Posted: April 10, 2018. Updated: April 3, 2019.